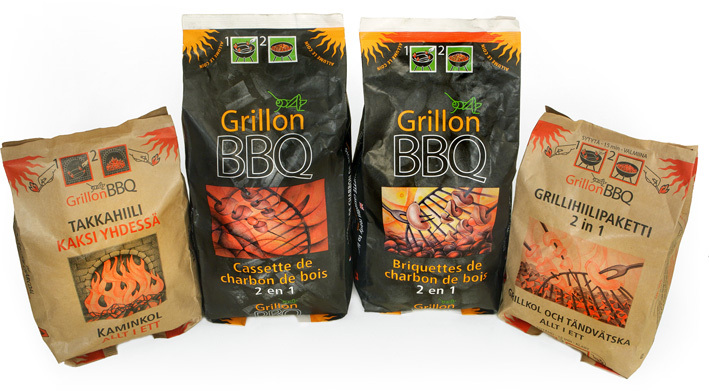 Emajõe Disain has designed a wide variety of packaging for Grillon BBQ range of charcoal products. In addition to the typical bags of charcoal, the client wanted to introduce a “convenience” product of ready-to-light cassette bags. 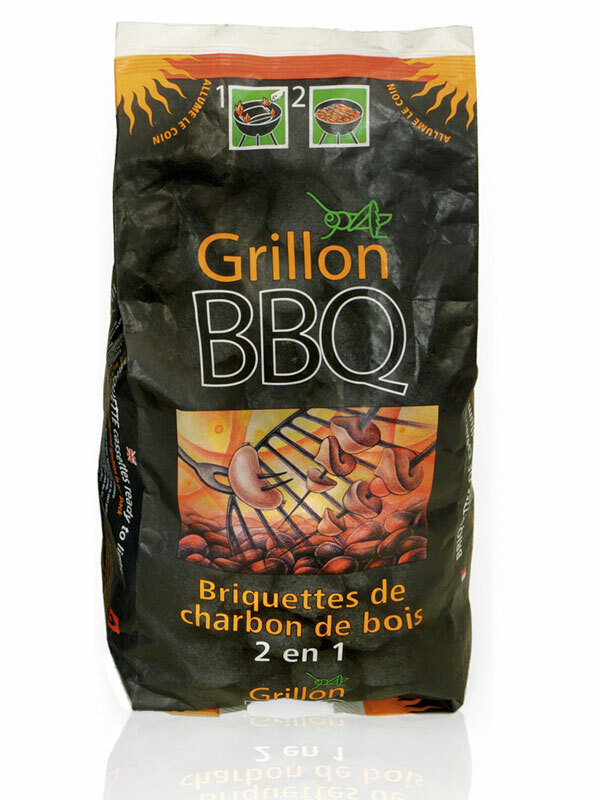 The bags are made of a highly flammable material and contain the right volume of charcoal for one barbeque. It is one of the few situations where the packaging itself has truly become part of the product. 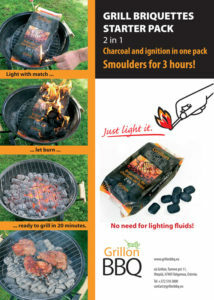 As an innovative “new” product, the pack design has to immediately explain and “sell” this smart and easy method of use. Sure, there are lots of instructions and small print warnings, but the pack graphics very effectively communicate the basic product concept – firstly as an easy, smart idea to entice the buyer and then later the same graphics function to instruct the actual user. Just as packaging has merged with the product, so too has usage instruction merged to become part of the promotion. While finding a solution of how to use these non-standard packaging materials the designer intermediated the coordination of the printer and the producing/packaging company. The front face of the package targets the French market while 5 other languages on the pack allow for sale in many other markets.